So my wife and I finally got around to organising our honeymoon a year from our wedding and we opted for a rather unconventional road trip from Melbourne up to Uluru. Whilst the focus of the trip was to explore the red centre of Australia, it would have been very out of character for us to miss out on some culinary indulgence. 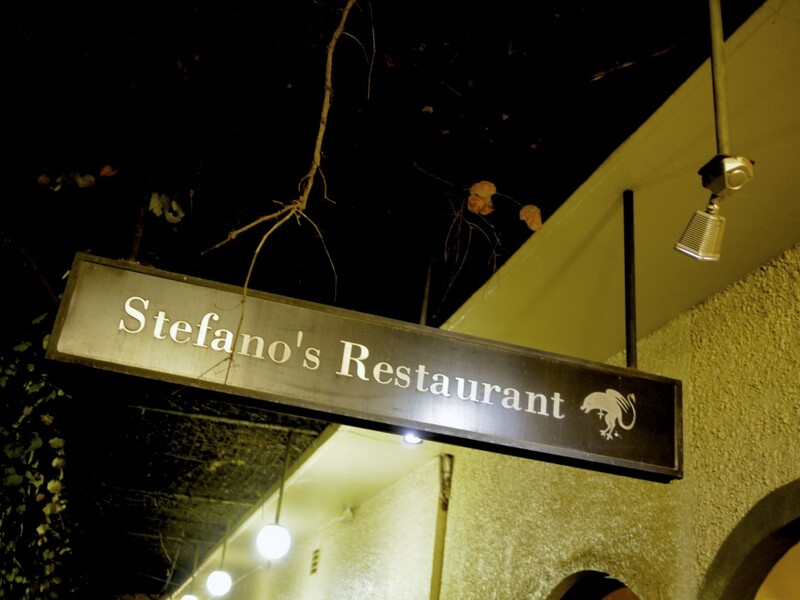 As our first stop was in Mildura I wasted no time in booking a table at the town’s oldest and most prestigious fine dining institution, Stefano’s. From humble beginnings since his arrival in Australia in 1974, Stefano de Pieri has built an empire in Mildura including a restaurant, cafe, bakery and brewery. He has since handed over the reins of the restaurant to his former apprentice and chef at Vue de Monde, Jim McDougall, propelling the restaurant from rustic Italian cooking to a modern cuisine. The dining room of the main restaurant is located in the cellar of the building and as you can see it did make a fantastic venue for a romantic and intimate meal. But beware when making your reservation for there is also a modern room at the end of the long corridor with better lighting which sadly did not retain that rustic cellar atmosphere. 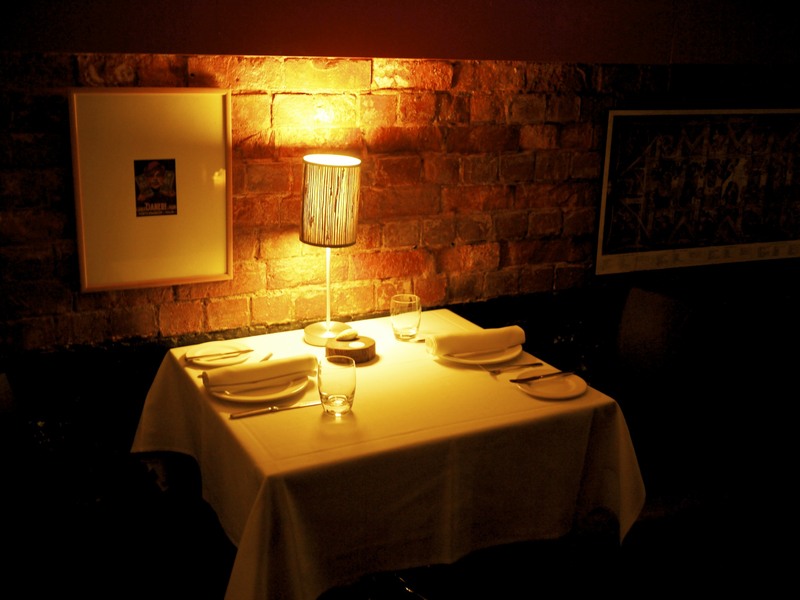 If you have a table for two people you’ve probably got a good chance in avoiding the modern room and knocking your head on its low beamed entrance. We arrived a little early and were escorted to our table ducking our heads under the (fortunately padded and leather clad) beams. It didn’t take long before two selections of butter were brought out with some bread. My wife’s olfactory senses immediately picked up the white truffle that had been infused into one of the butter before it even landed on our table. 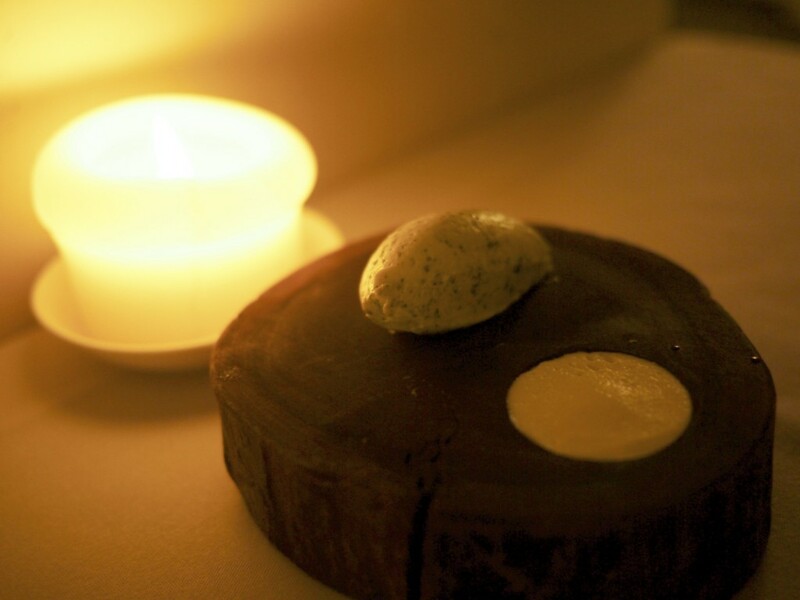 We hardly touched the other butter that had been whipped with saltbush. It was actually pretty good but it wasn’t truffle after all, and my wife does do a good impression of a truffle pig at the best of times. We opted for the white sourdough bread which was decent but nothing extraordinary. The service was friendly and relaxed, although the attention to detail of the front of house had room for improvement. For example, on more than one occasion my matching wine had not been timed well and poured too early or late. 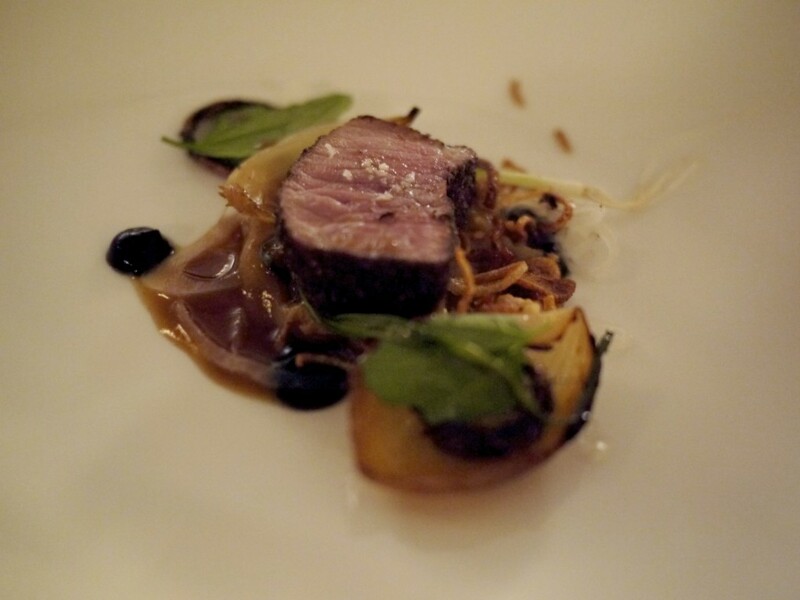 I also felt that the front of house were not well rehearsed with the content of the menu, often lacking in descriptions or details of the course. 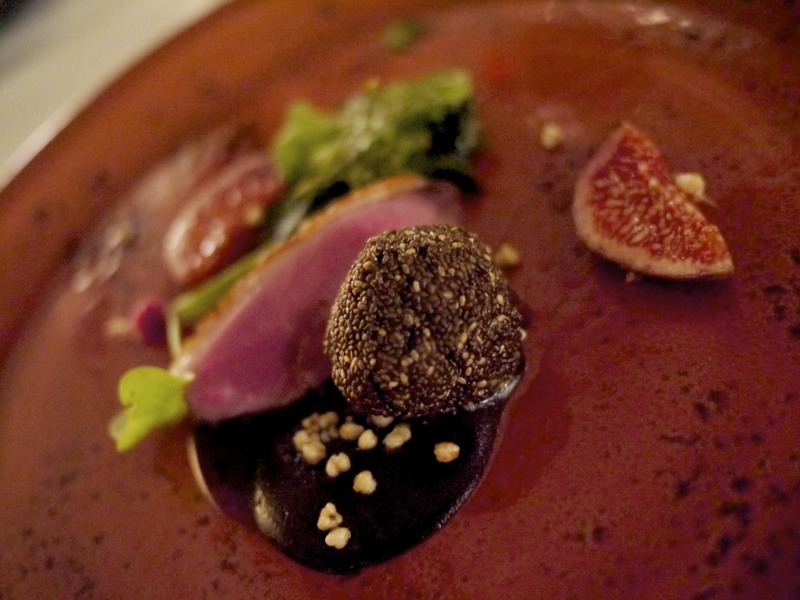 As it was a Saturday night, we had the choice of either a six-course or eight-course degustation menu. We didn’t hesitate in splurging out for the latter since this was our honeymoon. As usual we were asked whether we had any allergies or dietary requirements and on this occasion my wife informed them that she was pregnant. Our waitress frowned when we mentioned no raw meat and seafood, and soft cheese. She continued on to tell us that they could not substitute the charcuterie amuse bouche which naturally annoyed us at the price tag we were paying. To further add to our annoyance, she said she would try and get one of the main courses substituted but that never came to fruition. Lucky we didn’t have any allergies. 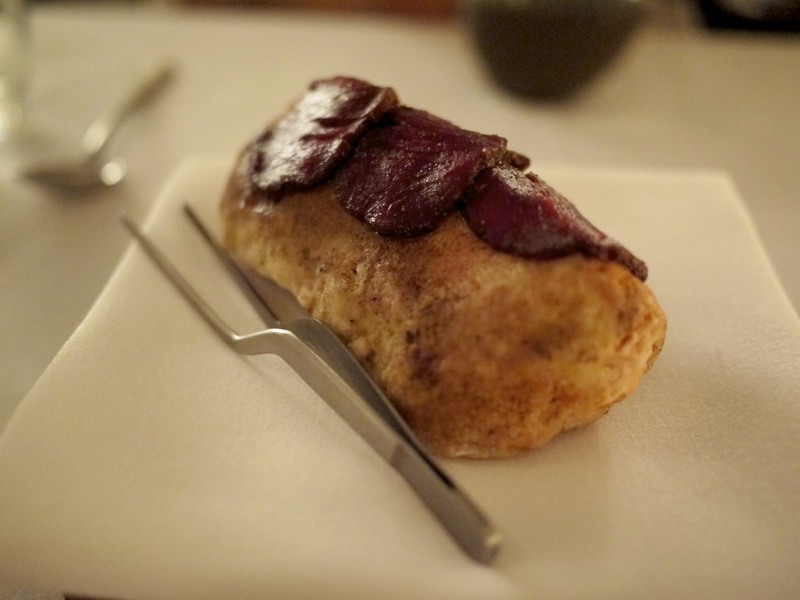 Our first amuse bouche of the evening was a couple of slices of Cured Kangaroo. They still insisted serving us two portions despite knowing my wife couldn’t have any of it. In all fairness, it was pretty average. 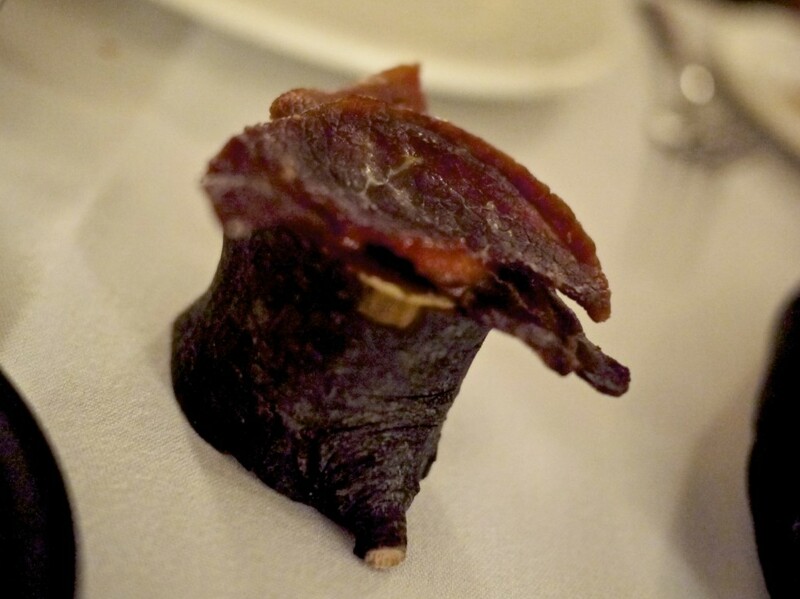 It was a bit like a flavourless jerky with a hint of sweetness. Next course please. 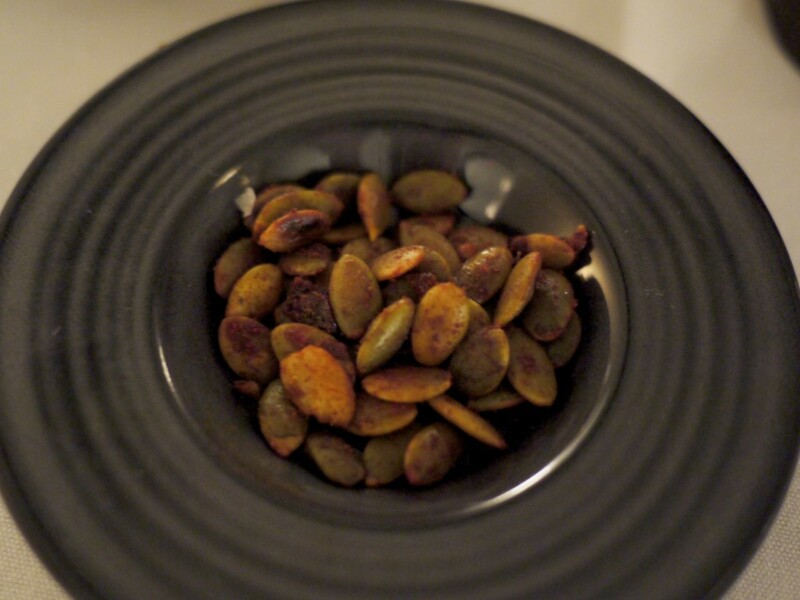 Some Roasted Pumpkin seeds with Paprika which was a nice snack that would have gone better with a beer and not at a fine dining establishment. 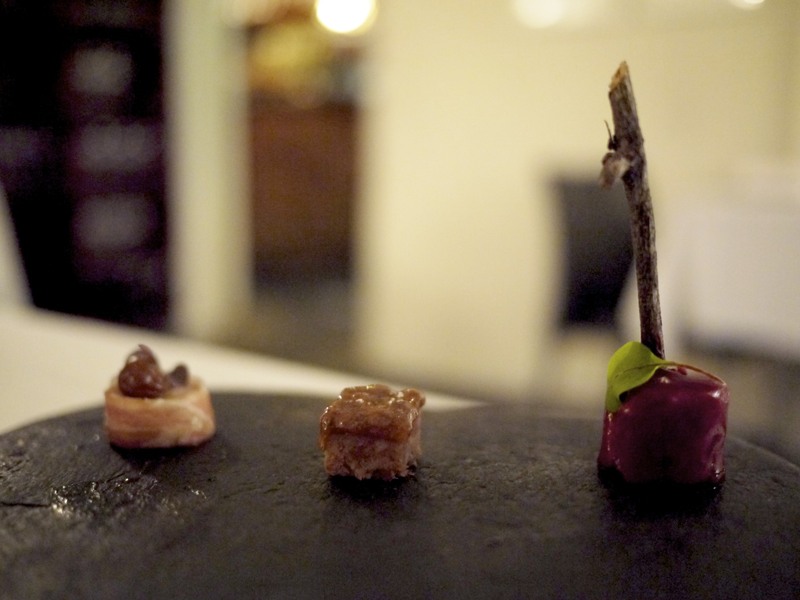 A trio of bite size meaty selections including chicken liver parfait encased in a beetroot gel, duck rillettes and pork wrapped in prosciutto. The parfait was rather too soft and I struggled getting it off the plate with the stick. I did enjoy the progression of flavours with the salty prosciutto being the tastiest item but they were all cold. 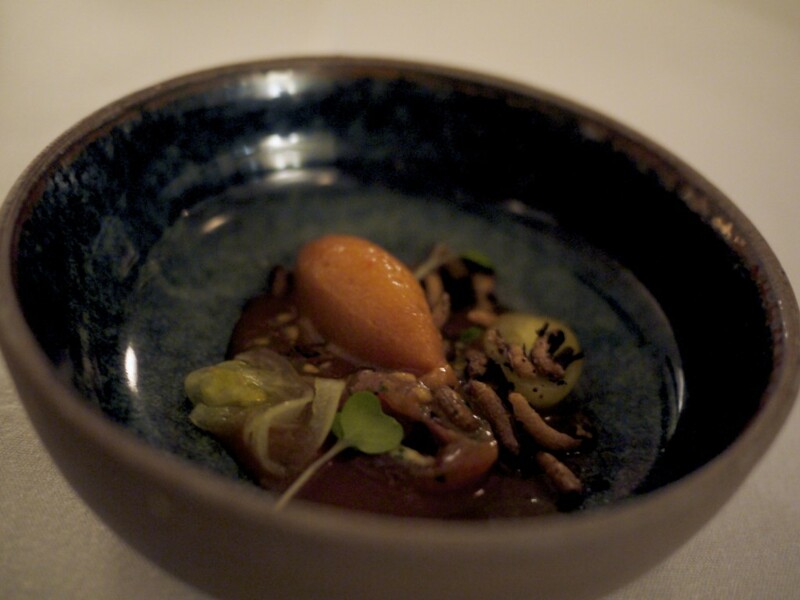 The last instalment of the amuse bouche, Tomato Gazpacho, was exactly what it said on paper. 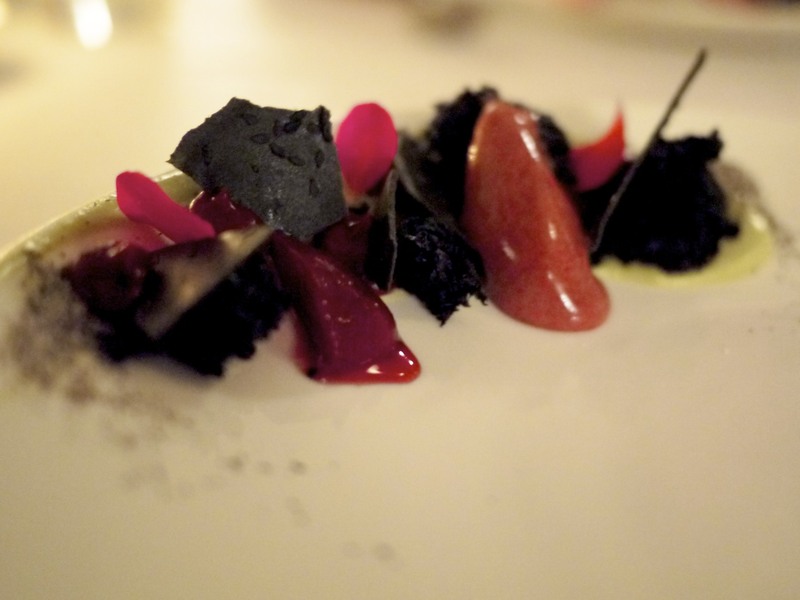 It was a celebration of tomato from the region, served as a sauce, sorbet and raw. This was far more enjoyable and even my wife who is normally not keen about tomatoes enjoyed it. Good acidity and use of textures. 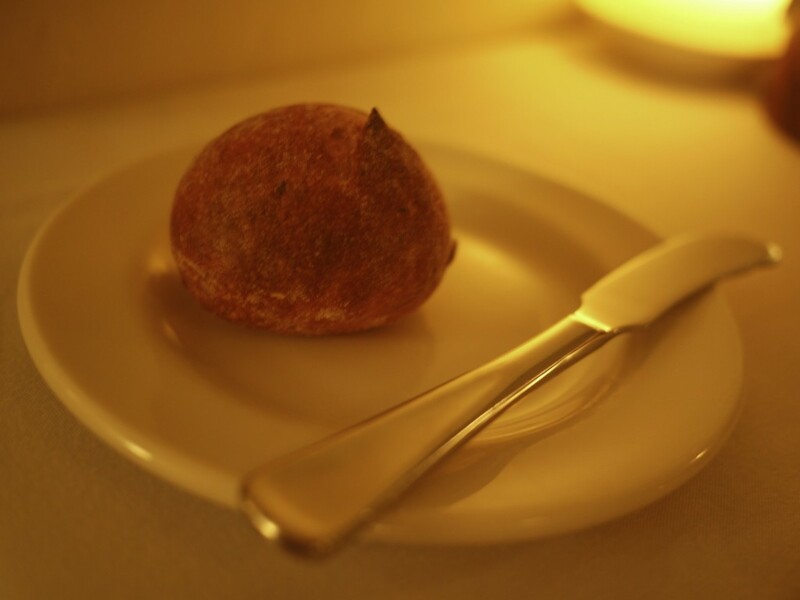 A perfectly refreshing dish to cleanse the palate before the first course. 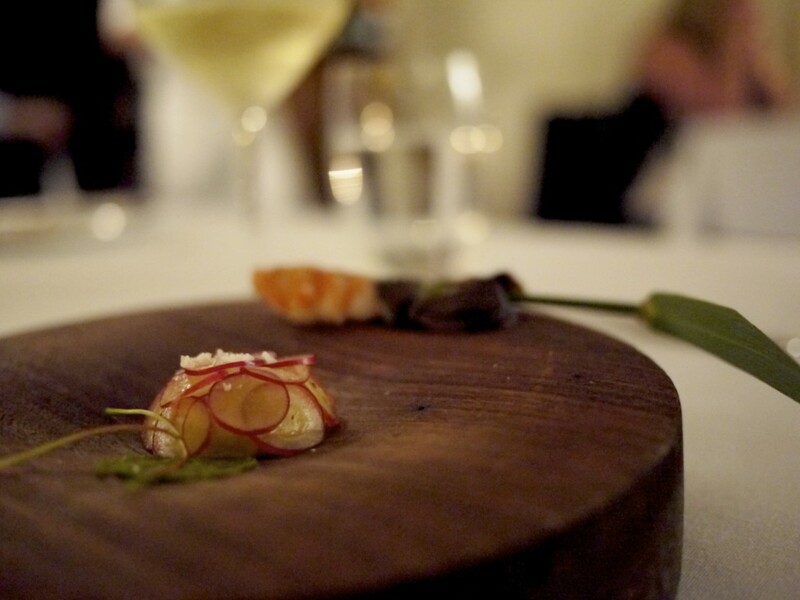 I could see the influence of Vue de Monde in the first course of the Wild Cowal Lake Yabbie, Cod Liver Parfait, Bulrush and Grapes which was accompanied with a glass of the 2009 Huia Gewurtztraminer, Marlborough. However, I really did not like this dish at all. The parfait had a texture of butter which was quite unpleasant and I couldn’t understand why slices of grapes were on this plate. The worst bit was the yabbie which was cold and flavourless. 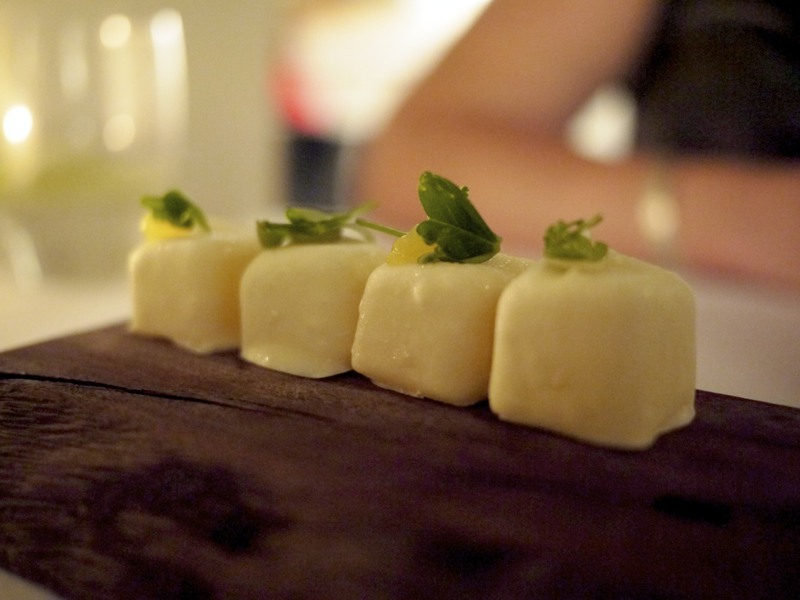 … Kangaroo Carpaccio served on a Murray River Salt Block, another dish my wife could not eat. Lucky she had some salad at least. Unfortunately, I left the carpaccio too long on the salty block making it inedible as I was getting quite upset with the service here. My wife didn’t want to make a fuss so I grinned when the waitress came to pick up the empty plate asking both of us how the dish was. Lovely, just lovely. The cooking under McDougall may have departed from being rustic but this restaurant was undeniably Italian. 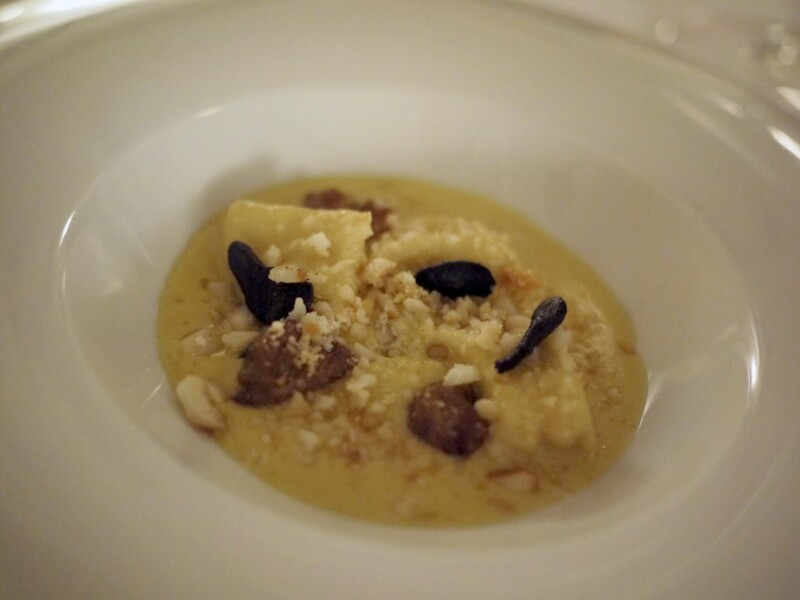 The Agnolotti of Smoked Sheep’s Cheese, Smoked Butter, Sweetbreads and Black Garlic was by far the best dish of the evening. I couldn’t quite pick out the black garlic but I loved how the creamy cheese and butter married with the salty sweetbread. 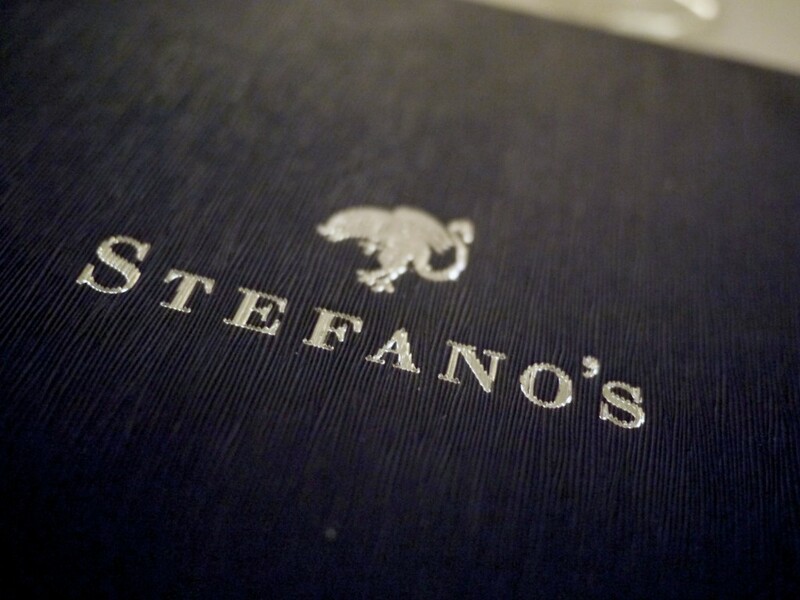 The pasta, to their credit, was cooked perfect – al dente, but then with stefano’s heritage I wouldn’t have expected any less. 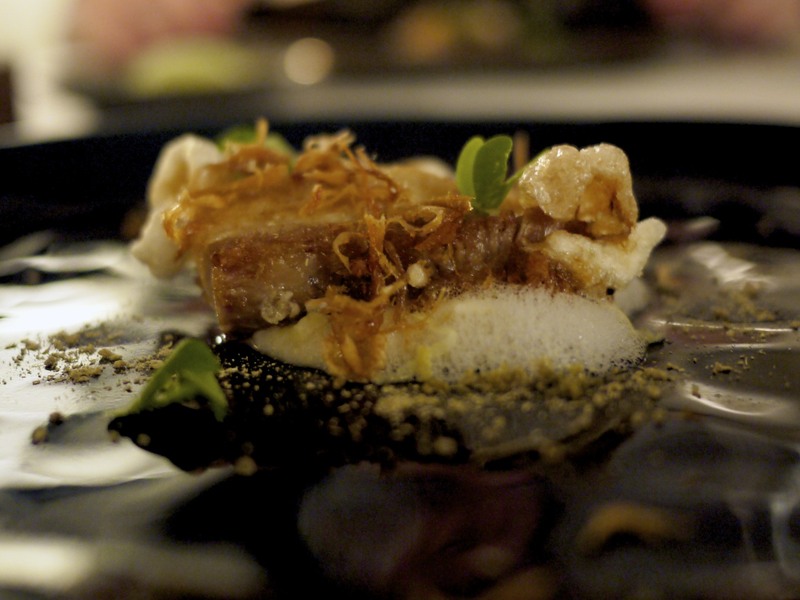 I expected to see a risotto dish next but instead we had Loxton Pork, Celeriac, Fermented Cucumber and Cider with a glass of 2013 Rieslingfreak No. 5. The pork was dry in texture yet had a very oily coating. Maybe it had been left in the frying pan too long? Who knows. The riesling certainly did a good job to wash down that oiliness. 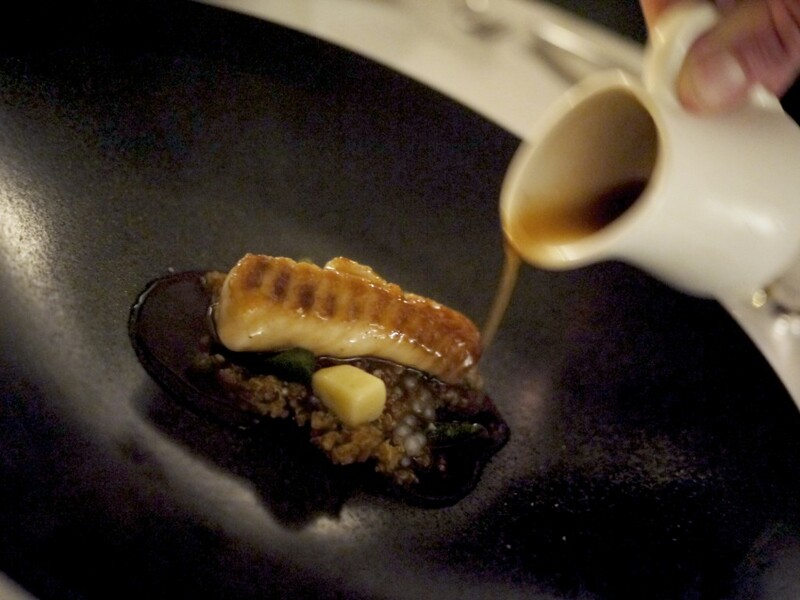 The waiting time at this point increased two-folds and it took over forty minutes before we had the Ikejime Murray Cod, Quinoa, Bone Marrow and Inland Sea Plants with one of my favourite wine, 2010 Toolangi Estate Pinot Noir. Other than reading out the dish as it was being presented, there was no effort to explaining what “ikijime” meant (fortunately I knew as I am Japanese). I did enjoy the quinoa soaking up the sticky sauce with the cod fillet. A bold move in matching the dish with a pinot noir but it worked well with the bone marrow. 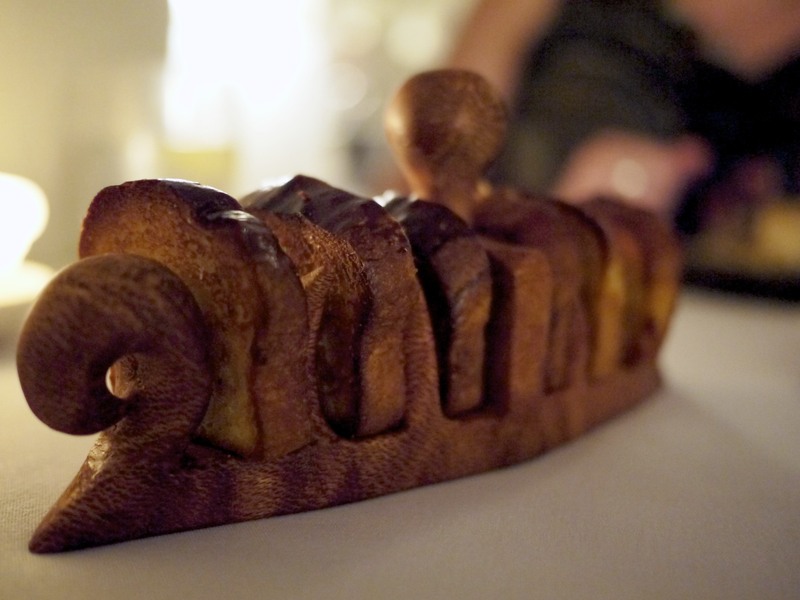 … some brioche to spread the cheese on. Overall, I found this too sweet for my liking. I prefer my cheese to be much more savoury… stinky… cheesy. They kindly substituted some parmesan cheese for my wife, although it didn’t really work. However, kudos was given for the attempt. 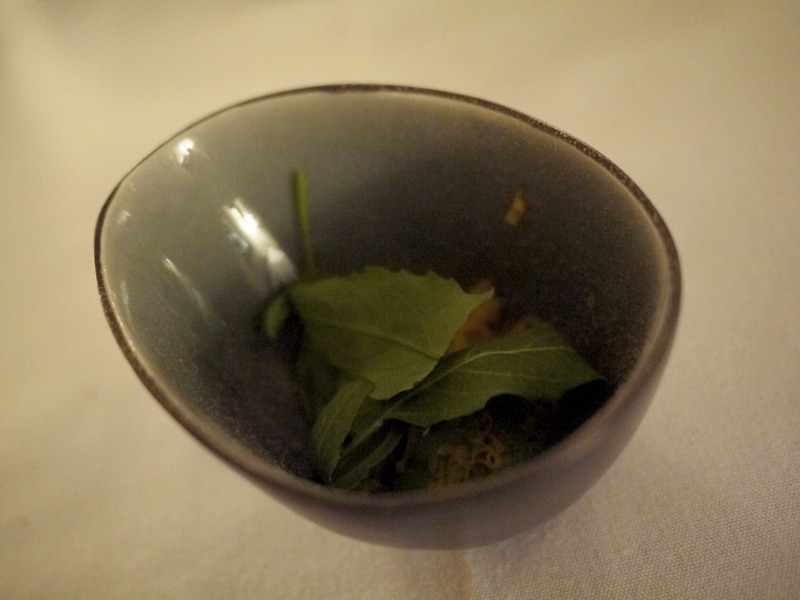 A palate cleanser ensued by the name of Michael Keenan Citrus. Again, no explanation was given as to who Michael Keenan was but at a wild guess I assume he was a citrus grower from the region? It consisted of two types of citrus jubes containing a lemon and mandarin juice. A superb palate cleanser that burst with an intense flavour and left a refreshing note that didn’t distract the palate from the next dish. Wow! The first sweet course of the evening was the Buttermilk Panna Cotta, Desert Lime, Basil & Caramel matched with the 2013 Mount Horrocks Cordon-Cut Riesling. 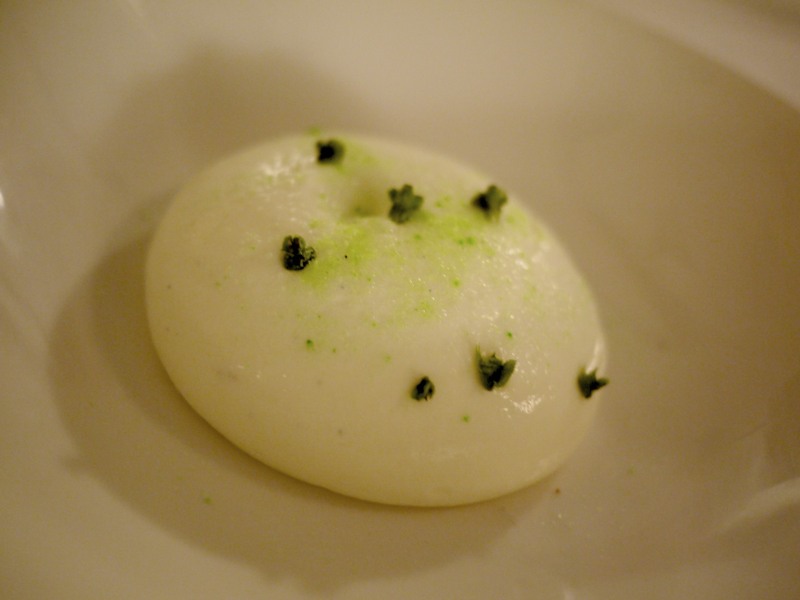 A rather odd combination of a buttery panna cotta with an extremely intense citrus flavour that tingled your tongue. I’m still undecided as to whether I liked it or not, and visually you’d agree that it was not very interesting. The last course was a celebration of plum with the Plum Dried for 6 Hours, Black Sesame & Green Tea with a glass of… guess what? Japanese Hakutsuru Plum Wine of course! The depth of flavour from the plum purée and jelly was divine and its sharp contrast to the sweet black sesame was spot on. I did however wish that there was a nice big dollop of plum ice cream to hold everything together. The meal finished with a beautifully carved wooden tray containing Potato & Nutella, Jubes, Lavendar & Caramel. I was generally disappointed with the overall experience here and my wife even more so after some fond memories she had from her last meal here a few years ago. If I put aside some fundamentally flawed service we had here tonight ranging from the restaurants inflexible approach to the inconsistent level of attention, the food here was very mixed. 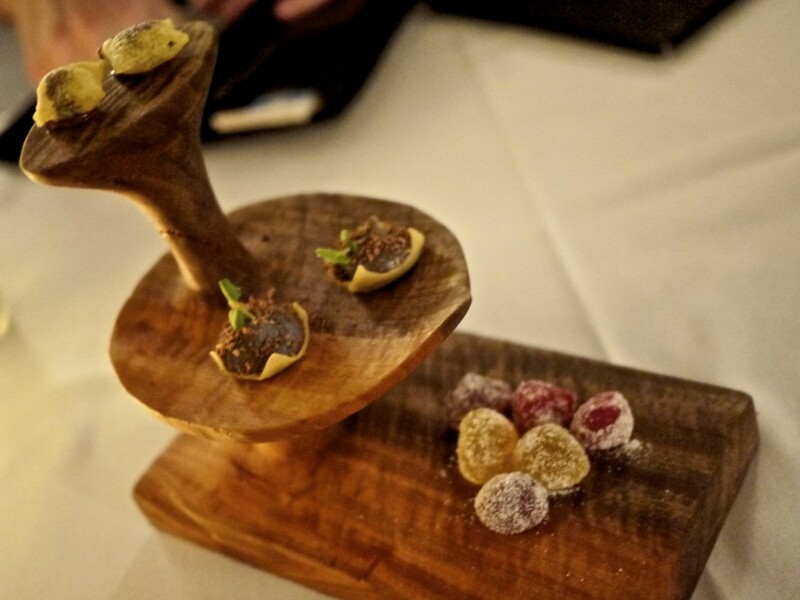 At one end you had some decent dishes like the agnolotti and the palate cleanser, yet on the other hand you had utterly flavourless dishes like the yabbie and the kangaroo carpaccio. Let’s hope our experience that night is a result of some teething issues from the change in style and direction of the restaurant because otherwise I certainly think the $400 bill was absurd for what you got. 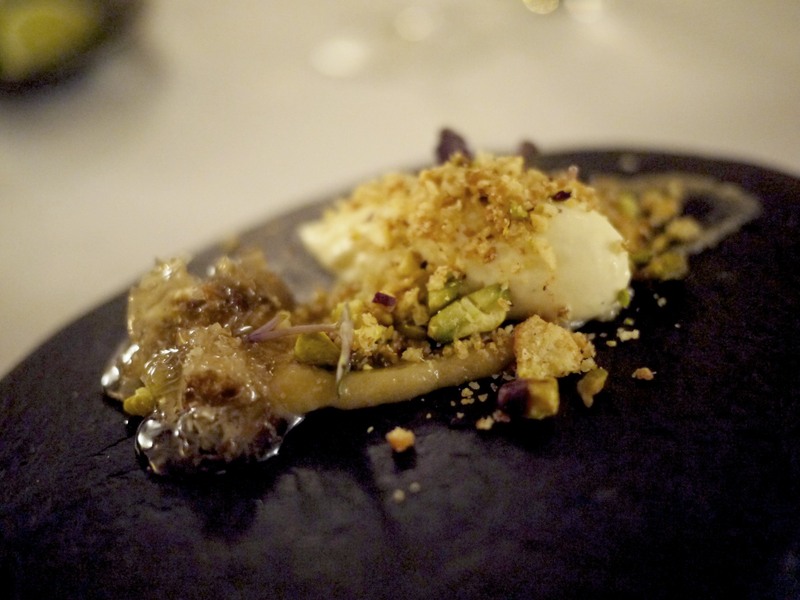 This entry was posted in Australia and tagged Jim McDougall, Michael Keenan, Mildura, Stefano de Pieri, Stefano's, Vue de Monde on May 11, 2014 by admin.